Spring is slowly making an appearance on the Prairies; trees are leafing out, robins are back and willows are in bloom! It won’t be long now before we start seeing another sure sign of spring, bumble bees! Alberta is home to approximately 30 different species of bumble bees, each slightly different in appearance and nesting behaviour. These bees are large, very hairy and have a combination of black, yellow, brown, white or orange markings. The first bumble bees to appear in spring are young queens who have spent the winter hibernating in leaf piles, compost or underground. In fact, it can be helpful to delay your spring yard clean-up until there is pollen available so that any disturbed queens will have a source of food. Thes e ladies are hard to miss! Large, fuzzy queens have that tell-tale low buzz and, at this time of year, can have low, zig-zagging flight paths, often appearing like they might have had a few to many cocktails. These queens are searching for nest sit es. They fly around, occasionally landing to explore the ground and seek out a cozy spot to settle down. Early in the spring, before bees emerge, do a walk around the outside of your home. Look for cracks around doors, window, foundation and dryer vents and seal them up. Keep your compost pile moist (not soaking wet) throughout the spring and summer If you find that you do have a nest, don’t panic! At first this may seem alarming, but bumble bees are usually very docile. Nests are generally no bigger than the palm of your hand, containing 50-200 bees and do not cause damage to structures. 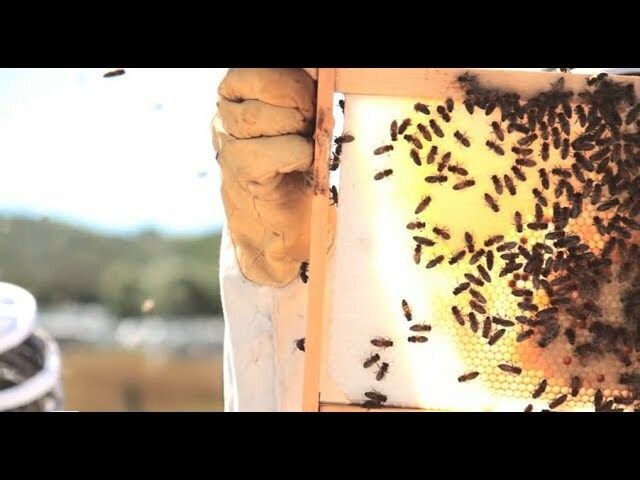 In the late summer, the colony will start to die out and the new queens will leave to hibernate. 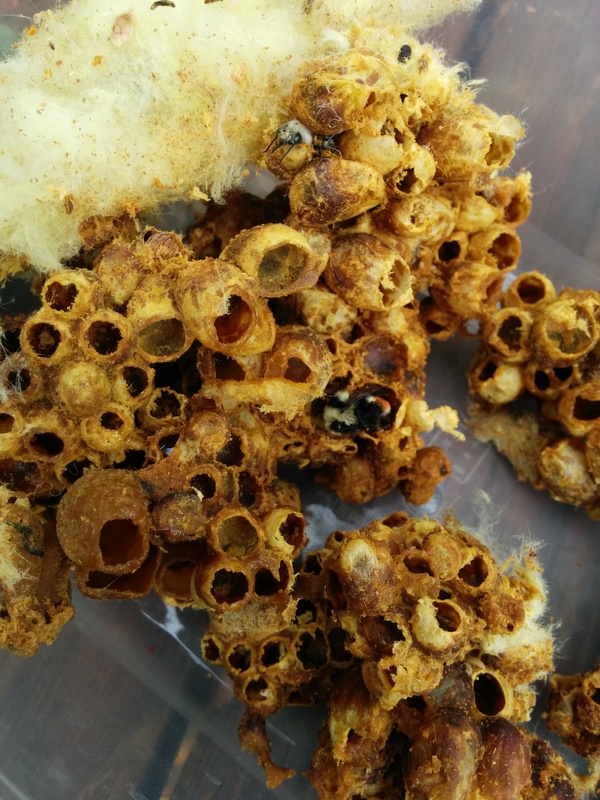 It’s best to leave found nests to finish the season as bumble bees (along with most other native bees) struggle with habitat loss and a lack of suitable nesting sites. It can be a lot of fun to observe a nest throughout the seas on and there is a lot you can do to help support your local bumble bee population. Plant Flowers! 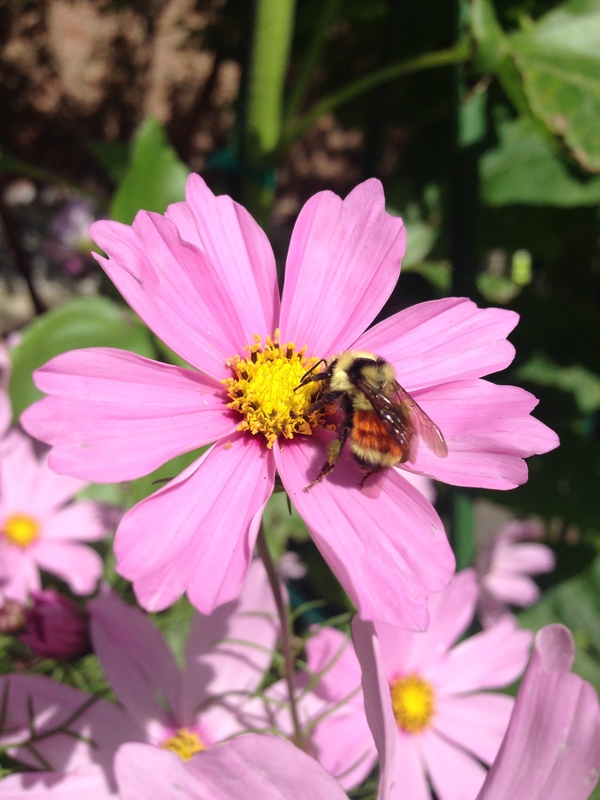 Bumble bees are great pollinators and need a steady source of pollen and nectar. Spend a few minutes watching bumble bees work. They’re focused pollinators and don’t mind a bit of an audience while they’re visiting flowers.